During the Milwaukee streetcar's opening weekend, riders took 16,409 trips on its initial 2.1-mile downtown route. 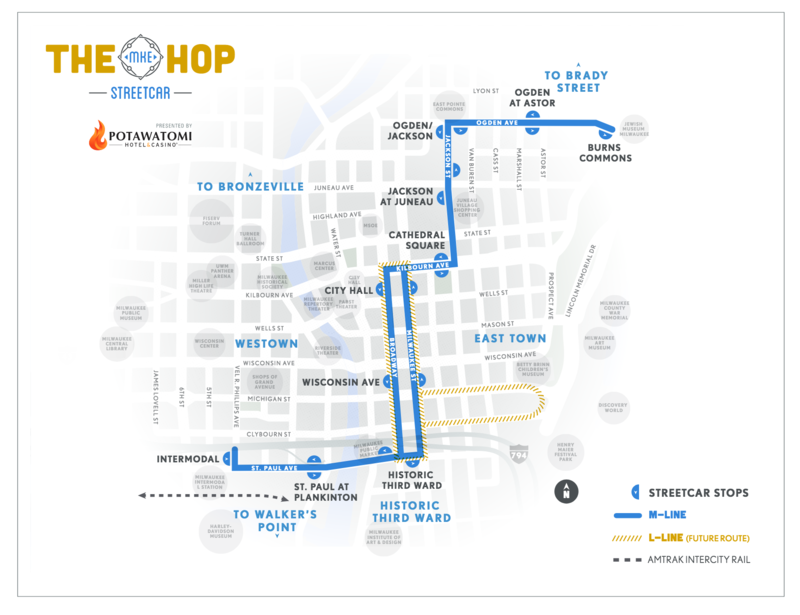 After years of planning and debates over the streetcar, The Hop finally began service the first weekend of November with three days of festivities. Spokespeople for The Hop report more than 700 people attended the ribbon cutting celebration Friday, Nov. 2. Milwaukee Mayor Tom Barrett, a longtime champion of the streetcar, said the weekend was a success. "We found a lot of enthusiasm and a lot of happiness from people who are pleased that it’s now running," Barrett said. Barrett said he thinks The Hop is off to a great start considering some of the weekend’s challenges. "During the weekend, they had really crummy weather — was really special — we knew November was not really the best time to launch a streetcar, there was not really a lot going on downtown, it was raining all day Sunday," he said. Jeff Polenske, city engineer with the Department of Public Works, said the city had no ridership expectations for opening weekend and while the numbers were great, normal everyday ridership won’t be high. "It’s not your typical ride, it’s not your typical trip because people are wanting to get on and ride form end to end and back again," he said. Polenske said at times the cars were so packed it was hard to make room for new riders. "While there were certainly people that were using it for the purpose of getting from one point to another, there were an awful lot of people who were excited about it, wanted to see what it was all about and ride it," Polenske said. Average daily ridership is expected to reach 1,800 trips, although that will likely fluctuate, Polenske said. The streetcar loops from Burns Commons on the Lower East Side to Milwaukee's Intermodal Station downtown, passing residential neighborhoods and the Milwaukee Public Market in the city's Third Ward. The streetcar misses some of the city's bigger attractions like the Wisconsin Convention Center and the new Fiserv Forum. Editor's note: This story was last updated at 3:50 p.m. Tuesday, Nov. 13, 2018, with comments from Milwaukee Mayor Tom Barrett and city engineer Jeff Polenske.